It has been reported that the UK Government has refused the asylum request for Asia Bibi and her family. 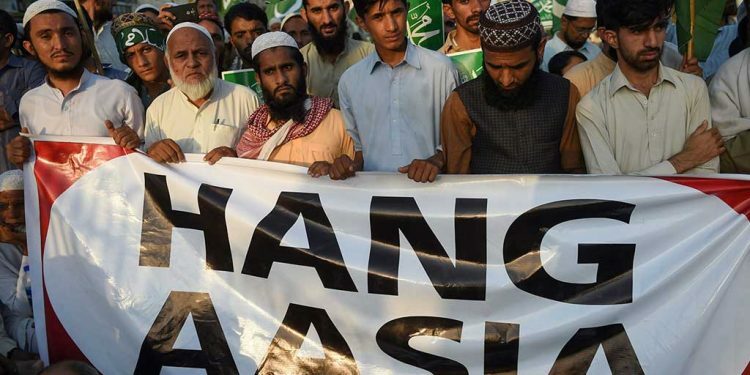 In Pakistan, Asia Bibi was recently acquitted of the charge of blasphemy, but at present she and her family are still in grave danger, as the government of Pakistan have still not permitted her and her family to leave. Asia Bibi has become a world symbol of persecuted Christians everywhere. Asia Bibi was falsely accused, tried and sentenced unfairly, and has spent the last 8 years in solitary confinement. When after many mishaps the Supreme court judges finally found her not guilty, Pakistan erupted in a wave of riots, Muslims calling for her death. They also threatened the judges. In response the Government of Pakistan agreed to allow the judgement to be reviewed and have banned her from travelling. Eventually, however, we all expect she will be allowed to leave. One of the places she asked to come to is the UK. 100 years ago exactly, Britain and its allies won a great victory at terrible cost against tyranny. Today, Britain has just lost the war against another tyranny. The UK Government has permitted a criminal Islamic rabble to set its policy, and they didn’t even have to go to the trouble of making a fuss – such is the complete psychological control Islam has over those in power in Britain today. The reason the country lost is simple – it has thrown away the one source of its former greatness – faith in God and His son the Lord Jesus Christ. Britain today is not the country it once was. Britain today reminds me of the Biblical king Jehoiakim who burnt the Word of the Lord. He did so without fear, despite that word predicting Judah’s downfall. The prophet was right, of course: Judah fell. 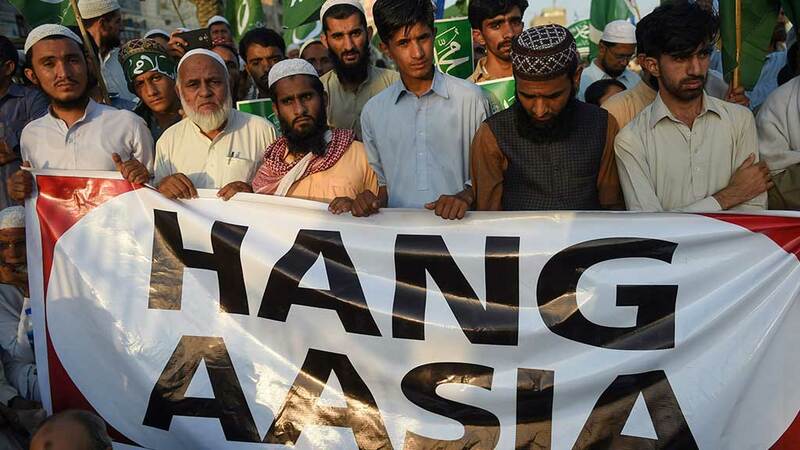 The mob that wants Asia Bibi dead wants the same end for all Christians. And Britain’s Christians, the spiritual descendants of those Christians who once forged this country, have concluded they can now expect no greater protection from its own Government than the protection it has offered Asia Bibi. It’s not that the Government can’t, it is that it no longer has the will to do so.